The concept of the Museum was envisioned in 1981.Doors opened in 2004 to support the town's 100th anniversary. 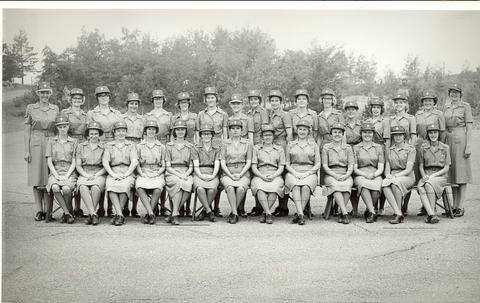 This series consists of Photographs CWAC (Canadian Women Army Corps) training . Also included is 1 photograph of a nursing Sister , photographs by various contributors and also Includes 12 satellite photo negatives. Included are 17 coloured photographs from an Association AGM circa 2012 . Jack Myers, John and Ann Curran, Frank Gaunce, Ralph Carr, Don Bourque, Dave Henderson , Tom Mclaughlan and Borden McLellan.